At one time, great herds of bison stretched across the American West, from Mexico to Alaska, in numbers that exceeded tens of millions. Native Americans hunted bison (also known as American Buffalo) sustainably for hundreds, if not thousands of years, but it only took a few decades for commercial hunters to nearly eradicate the entire species. The decline in the bison population was devastating for the entire plains ecosystem as grasslands that depended on the action of millions of animals grazing, defecating, and stampeding were irrevocably disrupted. Unlike other North American mega fauna, however, the bison did not go extinct, and thanks to aggressive conservation efforts their numbers are now estimated to be close to 500,000. Some modern day ranchers have begun to realize the benefits of raising bison. Unlike cattle, bison are perfectly adapted to life on the prairie. Their shaggy coats protect them against winter storms and their grazing habits actually benefit the grasslands, improving biological diversity. Since they don't require as much upkeep as cattle, bison are cheaper to raise and their high-quality meat is a healthy alternative to conventionally raised animal protein. I recently got in touch with one such company, Rancho Picante Bison, and was sent a sample of their Montana Bison. It was a four pound slab of bison short ribs and as soon as it arrived I knew what I was going to do with it. 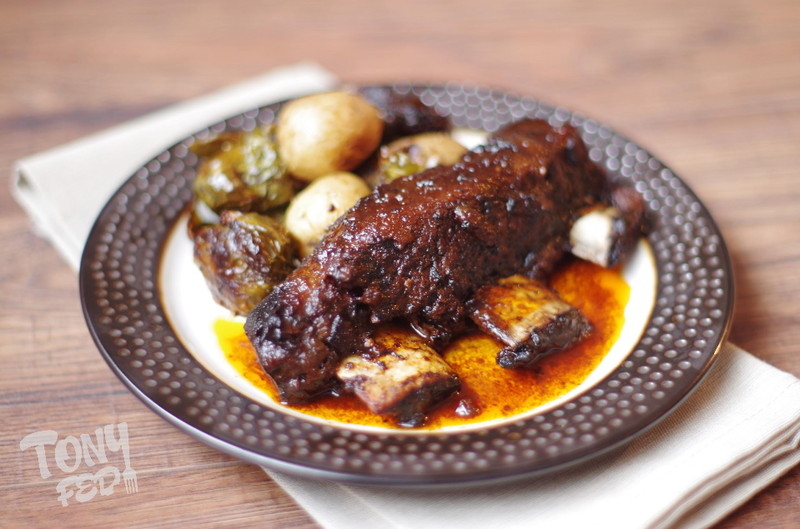 Short ribs come from the underside of the animals rib cage, and offer a generous portion of meat, fat, and connective tissue. Cooking them low and slow ensures ensures that they come out tender and succulent, so I broke out my crock pot and got cooking. Many short rib recipes are inspired by the cuisines of Asian countries such as Korea, but I wanted to pay homage to Southern ranges of the ancestral bison herds. I browned the ribs in bacon fat and made a sauce spiced with smoked chipotle peppers. After eight hours in the slow cooker, the ribs fell apart at the touch of my fork and had a rich, smoky flavor that was out of this world. I hope you enjoy this recipe and encourage you to check out Rancho Picante for all your grass-fed bison needs! 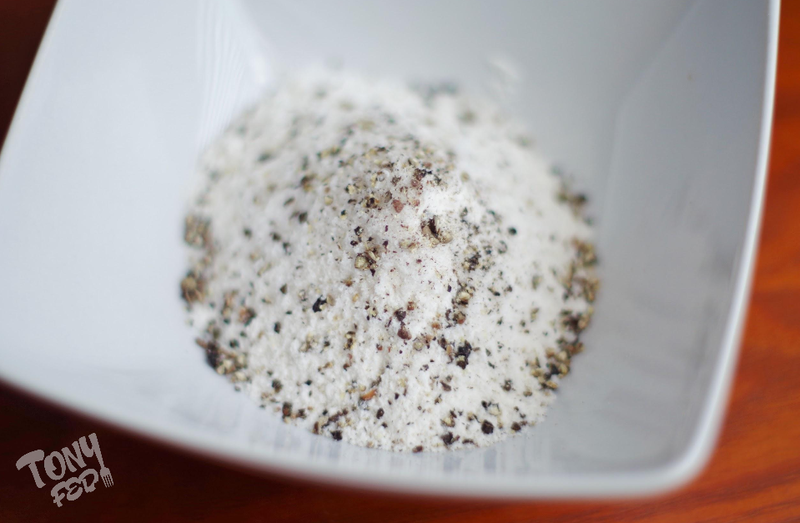 In a small bowl, combine flour, salt, and pepper. Dust the short ribs with the mixture and set aside. 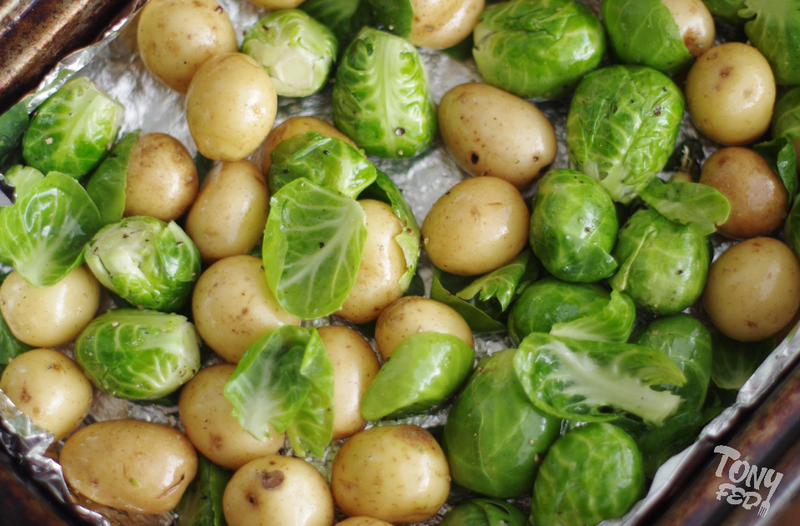 In a large saucepan, melt the bacon fat over medium-high heat. Once the bacon fat is melted, begin browning the ribs in batches. You don't want the ribs to cook through at this point, the goals is only to get a nice brown crust on all sides. You may need to add additional bacon fat as the flour coating the ribs will absorb some of it. Once you are done browning the ribs, set the ribs aside and add the bacon lardons to the pan. Once the lardons start to render out, add the shallots and cook until the shallots are translucent and caramelized. Carefully deglaze the pan with the red wine vinegar before adding in the remaining Chipotle Bacon sauce ingredients. 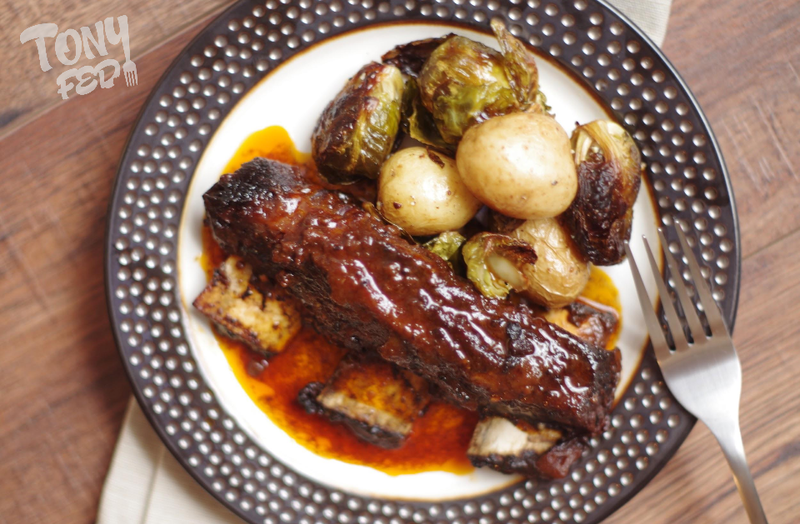 When the sauce is complete, add the browned short ribs to your crock-pot or slow-cooker and pour the Chipotle Bacon sauce over the ribs. Set the slow cooker on "low" and allow the ribs to cook undisturbed for 8 hours. When the ribs and vegetables are done, plate the ribs and ladle additional Chipotle Bacon sauce over the top.